So far for these weekly photo challenges I have been able to find a picture in my library that goes well with the theme as I see it, and this week was no different. I know, not really any originality with my choice of picture (how many reflection photos are popping up in the photo challenge feed? Probably a lot), but reflection photos are just so amazing! 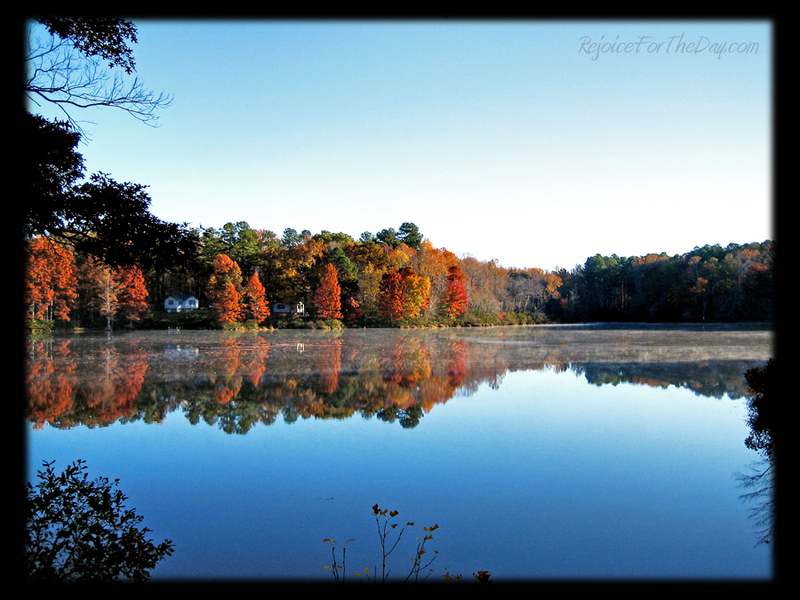 This picture was taken in the fall of 2008 at the Chickasaw State Park in Tennessee. It was a cold November morning the day this was taken. The sun was rising on Lake Placid and starting to warm things up from the night before. The colors of the sky and the autumn leaves just merge so well into the water making for such a beautiful morning, and a great picture! I only wish I was more of a photographer! Umm… with photos like *this* you are most certainly a Photographer!! Beautiful photo. I love your attitude and philosophy of life. Thank you.